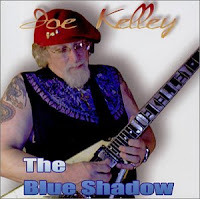 Joe Kelley, who played bass and guitar for the group Shadows of Knight and was a major blues guitarist in the Chicago area, died on Sunday after battling cancer. Kelley originally played in a local Chicago bands the Exides and the Vectors but was recruited to join the Shadows of Knight in 1965. The group had formed the previous year but original bassist Wayne Pursell left and Kelley was brought in. Later that year, it was discovered that Kelley was actually the best guitarist in the group so he took the place of original member Noel Gotsch while guitarist Warren Rogers moved to bass. It was this lineup that went into the studio and cut a cover of Gloria, originally by Them with Van Morrison, cleaning up some of the lyrics so it would get airplay. The single was released on the small, regional label Dunwich Records who couldn't afford to release the record in one batch nationwide, so it rolled out across the country, most likely dampening its ability to become a major hit. Still, it managed to make it to number 10 in Billboard and 7 in Cashbox. The band followed with three more singles, two of which only made it to the 90's in Billboard (Bad Little Woman and I'm Gonna Make You Mine) and Oh, Yeah which hit 36. Kelley left the group in 1967 to form his own blues band and, over the decades, became a well respected blues player, working with the Allman Brothers, Buddy Miles, Willie Dixon, Freddie King and the Outsiders where he played on their hit Time Won't Let Me. He released his only solo record, The Blue Shadow, in 2002 on Teardrop Records. Joe played with Willie Dixon (not Nixon). Joe would stab you in the ears with his blues licks without apology or reservation. Warren Rogers plays lead guitar on Gloria. Joe Kelley came in on bass but switched with Rogers when the band moved from being a cover-band. R.I.P Joe. I have been trying to contact Joe and George Ostrum for several months. Today I stumbled upon this website and was shocked to hear that Joe has passed.I lived with Joe and George in Hinsdale, Illinois many years ago. So, Oz, if you are out there I sure would like to hear from you. I was friends with Joe while he lived in Austin. I did some photo's for him, and we became friends. He was a great person, and had great stories of his times with SOK days. Hey Joe where you going with that guitar in your hand? Glad i caught up with you at The US Blues bar after not seeing you since the 70s. Thanks for giving my !954 Les Paul back despite rumblings from your girlfriend. Great to have seen you in the 2000s . Your now with our your friends Billy Moore, my brother Chris Stockdale,and others . Your old bandmate Stan Abernathy now plays and directs BBKings band. You made a mark in this world;that's more than most. God Bless you it was great to be a friend. Wow. Big loss. As I sit here listening to a recording of Joe I made at the Checketboard in July if 1990. Great tape with B.B. Odum, Johnny Christian, Melbina Allen and Pete Berger on tenor sax.